MINI TENNIS BALLS: Finally, a toy made for small dogs! Comes with 3 mini tennis balls (1.6-inch diameter). Note: This is the small iFetch automatic ball thrower. 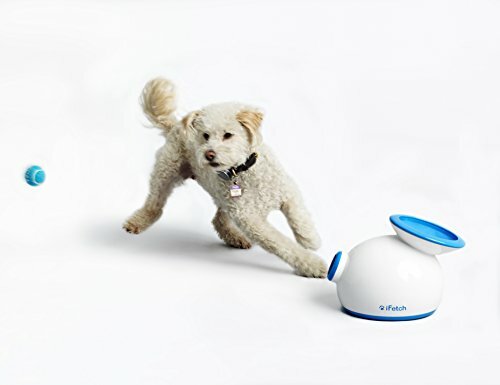 The iFetch Too is the larger automatic ball launcher. PHYSICAL & MENTAL: Running and fetching? Perfect. Learning to initiate fetch on their own? Priceless. WORRY-FREE WARRANTY: Our iFetch products are backed by a one-year warranty. Call or email us directly. We know your dog's tail will wag. We want yours to wag too.